Vikings from Wirral Skip-Felag Viking Re-enactment Group are to set up a weekend encampment in Meols Park on 7th and 8th September 2013, allowing people of all ages to get up close and experience what these people from over 1,000 years ago, were actually like. Skip-Félag take you back in time to the year 1000 AD when you visit the authentic Viking Age Village. Play Old Norse games, learn about Viking trade practices and observe weaving, blacksmithing and how the Viking’s lived during that time. 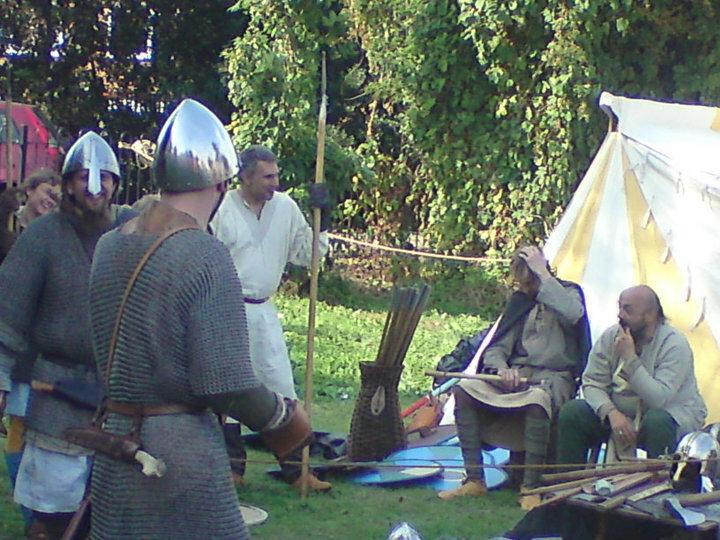 Come and meet with the Vikings and be amazed by what things are worth in the Viking world. Be ready for something special and magical in the Viking Camp. The group aims to research and educate by attempting to recreate the Viking Age in displays, see the warriors fight, and learn about their weapons and weaponry. The group will all be in Viking attire, and, as well as battle scenes, they will also take part in story telling, a slave market, and a variety of staged set pieces. Members of the public will learn all about Viking life – including medicine in the 10th century; cookery and food technology; animal husbandry and the use of furs, bone antlers and horns; coin striking; weapons displays and ancient woodworking skills.Come along and enjoy learning about our local history and heritage. An interesting talk by local historian Peter France of Wirral Archeology is also planned for 1pm on the Saturday, together with local Viking ‘findings’ for the Public to view. 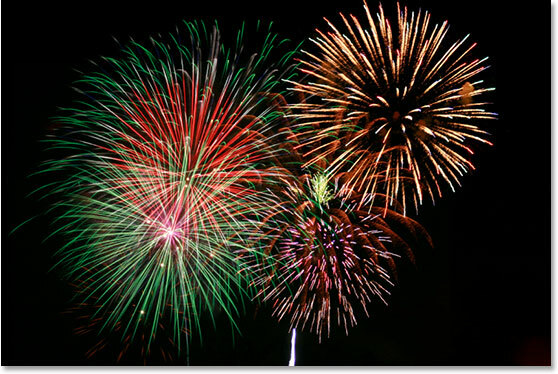 A Fun Weekend in Meols Park on Sat 7th and Sun 8th September 2013. 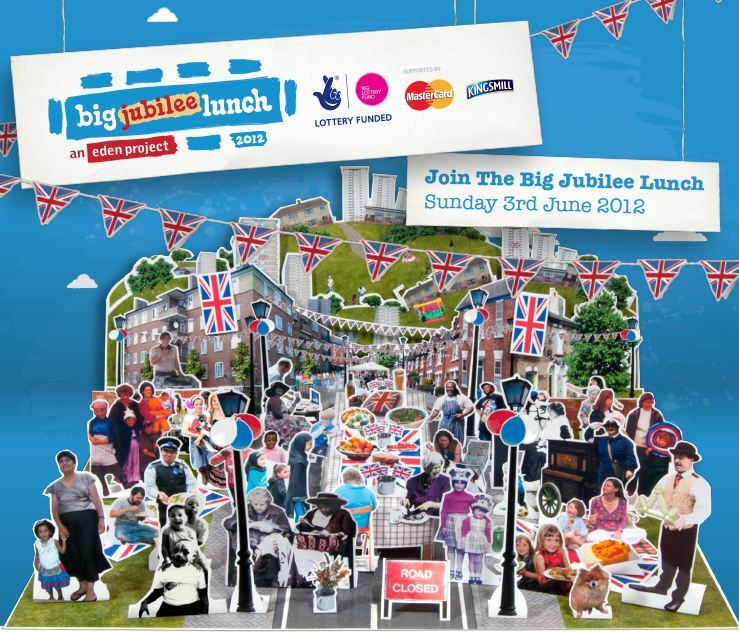 From12 noon to 6pm each day. 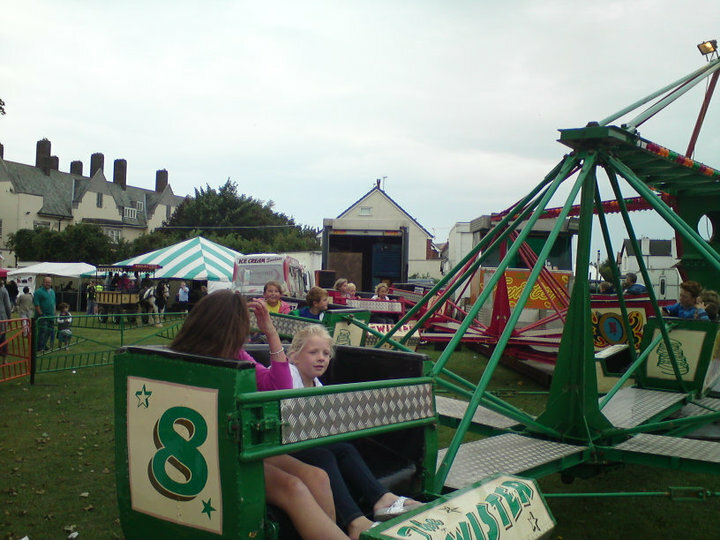 Enjoy the family fairground rides, donkeys, Hot and Cold Refreshments etc. Come and Meet the Vikings Too! 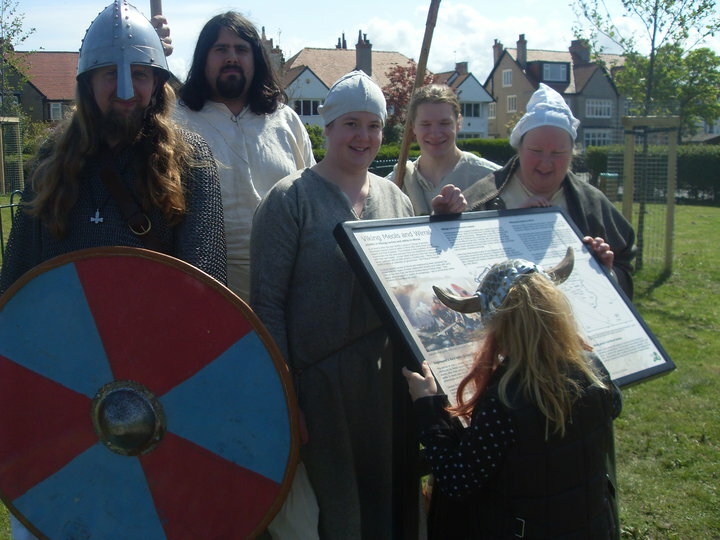 The Wirhalh Skip-Felag Vikings are setting up an encampment in Meols Park,where they’ll be bringing history to life, by showing what daily living was like in a Viking village. See the warriors fight, and learn about their weapons and weaponry. The group will all be in Viking attire, and, as well as battle scenes, they will also take part in story telling, a slave market. Members of the public will learn all about Viking life – including medicine in the 10th century; cookery and food technology; animal husbandry and the use of furs, bone antlers and horns; coin striking; weapons displays and ancient woodworking skills. 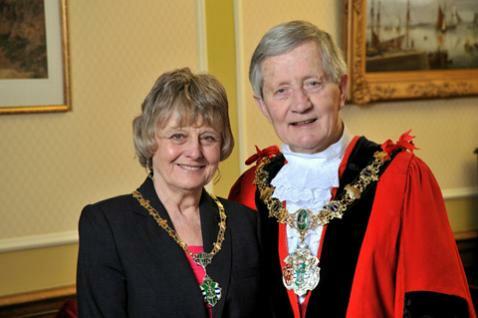 about the history and heritage of Viking Wirral. Peter will also have local Viking ‘findings to hand for the public to view. 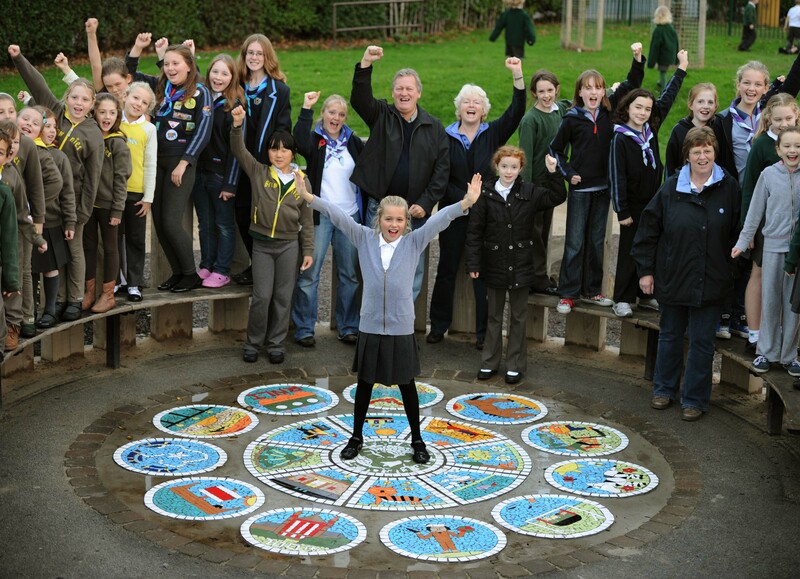 MORE than 100 youngsters took part in a community project to create a giant mosaic in Meols Park. The colourful floor mural in the park’s seating area is made up of 11 mosaics in an outer circle and eight inner sections representing the history of Meols and the area as it is today. The designs include an RNLI lifeboat, a Viking longboat and warrior and wildlife on nearby Hilbre Island. A central circle depicts the logo and name of the Friends of Meols Park, the group behind the project. Pupils of Great Meols Primary School, and members of a local Rainbow and Brownie group were among those who worked with an artist to design the mosaics. 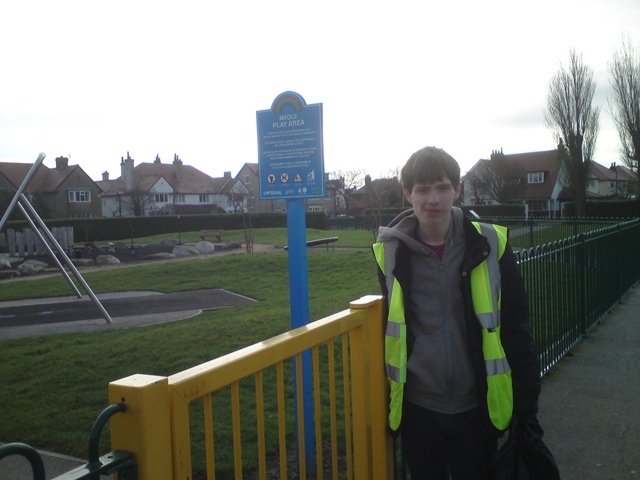 Roy Shuttleworth, secretary of the Friends of Meols Park, said the result was “fantastic”. He said: “We had scores of children involved in the project by running workshops at Meols Park bowls pavilion, Great Meols Primary and St John’s Church hall in September and October.“All the segments were completed in five days.” The mosaic was made using durable swimming pool tiles which were fixed on to concrete paving slabs with tile cement and grout. The pieces were displayed in St John’s Church before being installed in the park last month. 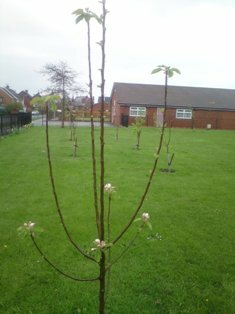 The project was funded by a grant from Wirral Council and fundraising events organised by the Friends together with donations from Regal Fish & Chips and Smarties Play Group in Meols.